Slides of the Talk of G. Baio is available here. 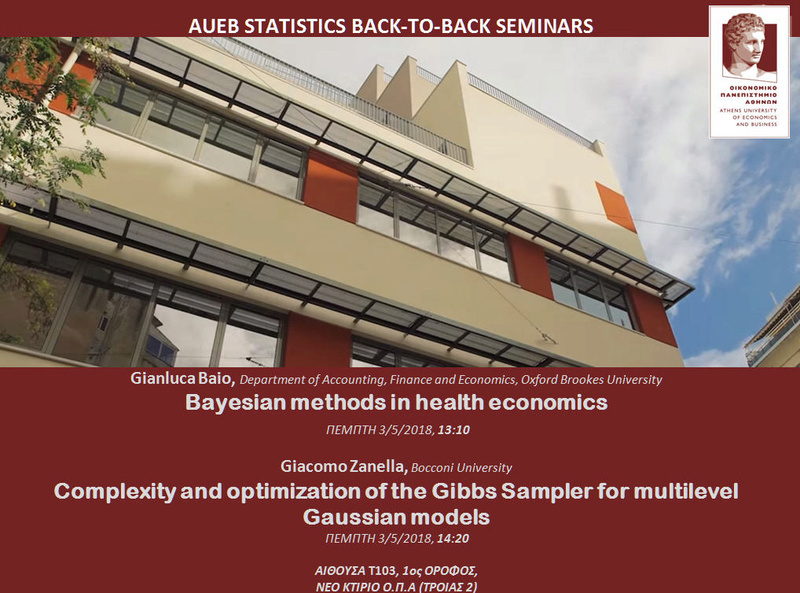 Slides of the talk of G. Zanella are available here. In recent years, the discipline of health economics has played an increasingly important role in health care decisions. Broadly speaking, the objective of publicly funded health care systems (such as the UK’s) is to maximise health gains across the general population, given finite monetary resources and a limited budget. Bodies such as the National Institute for Health and Care Excellence (NICE) provide guidance on health economic evaluation methods that are then used to help make decisions about the adoption of health care interventions. The methods cover a suite of analytical approaches for combining costs and consequences of intervention(s) compared to treatment as usual. To this aim, much of the recent research has been oriented towards building health economic evaluations on sound and advanced statistical decision-theoretic foundations. In this talk, I'll review the basic aspects of health economic evaluation, particularly from a Bayesian perspective. I present the differences in analytic approaches, depending on the type of data and introduce the main ideas underlying the way in which uncertainty (and its impact on the decision-making process) is handled. I will also discuss areas of active research involving the use and advantages of Bayesian methods in health technology assessment, such as survival analysis, value of information and dynamic modeling. We study the convergence properties of the Gibbs Sampler in the context of Bayesian hierarchical linear models with nested and crossed-effects structures. 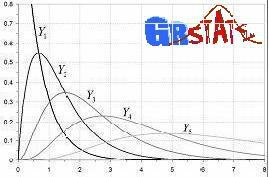 We develop a novel methodology based on multi-grid decompositions to derive analytic expressions for the convergence rates of the algorithm. In the nested context, our work gives a rather complete understanding of the Gibbs Sampler behavior for models with arbitrary depth, leading to simple and easy-to-implement guidelines to optimize algorithmic implementations. In the context of crossed-effect models, where classical strategies to speed-up convergence are not applicable, we show that the convergence of commonly implemented Gibbs Sampler strategies deteriorates as the data-size increases. This results in super-linear computational complexity (potentially even quadratic) in the number of data-points. Leveraging the insight provided by the multi-grid analysis, we design a simple collapsed Gibbs Sampler whose complexity matches the one of nested scenarios. The implications for scalable Bayesian inferences on large multilevel models are discussed. Joint work with Omiros Papaspiliopoulos and Gareth Roberts.